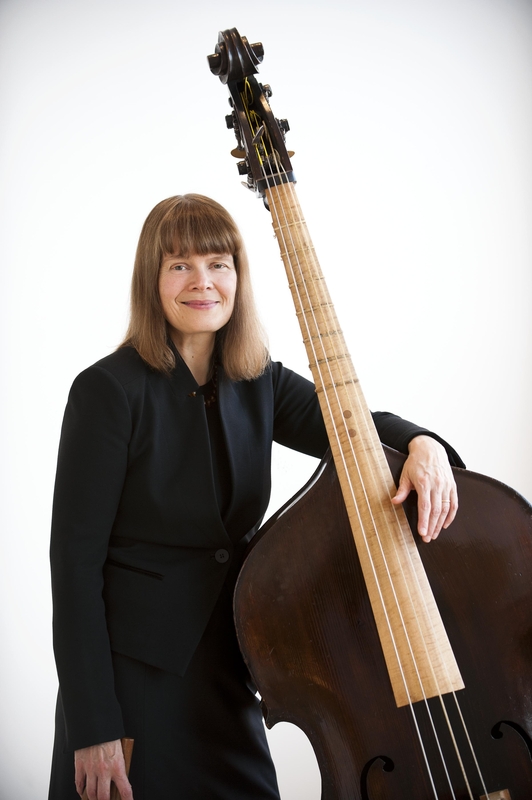 Alison Mackay, the creative force behind The Galileo Project, has played violone and double bass with Tafelmusik since 1979. She has developed a whole series of creative programmes for Tafelmusik, many of which have toured the world. You have created many unusual programmes for Tafelmusik. What inspired you to create The Galileo Project? I had been thinking for a while that it would be exciting to expand our experiments in “words-and-music” format to include some more theatrical elements and I was mulling over several ideas for themes. Then, in the spring of 2007, I received an email with an intriguing new idea from John Percy, Professor of Astronomy at the University of Toronto and an expert on variable stars and stellar evolution. On behalf of the advisory board of the Canadian division of the International Year of Astronomy, he proposed a concert in celebration of the 400th anniversary of Galileo’s development and use of the astronomical telescope. We approached The Banff Centre to see if the orchestra could develop its project at this cradle of creativity, and we received an enthusiastic response from them, which allowed us to plan in a more ambitious way, and to invite some of the most exciting people in Canada’s theatre world to participate. How did you go about writing a script and choosing the music? Researching and writing the script always goes hand-in-hand with choosing the music and the process usually takes about a year. I always work closely with Music Director Jeanne Lamon along the way to discuss the choices of repertoire. As you can imagine, there is a wealth of material to choose from – one of the hardest tasks is leaving out some of my favourites! Once the programme is chosen, librarian Charlotte Nediger prepares the music, transcribing some pieces from original sources, and making an integrated set of scores and scripts as well as individual parts for each orchestra member. Lucas Harris spent many hours reconstructing a lute concerto movement by Sylvius Weiss for which the orchestra parts have been lost. The orchestra memorized the music for this show, which is extremely rare in the orchestral world. Yes, because of the unusual theatrical aspects of this concert, the orchestra took on the monumental task of learning the music by memory – something orchestras almost never do. They worked hard in their own practice studios and got together many times to make informal archival recordings for private practice and to have “memorization parties.” Emails flew to share memorizing tips and to report progress. The images projected during the concert are breathtaking. How did you find them? We approached renowned theatre designer Glenn Davidson to collaborate with us as Production Designer. After he had completed his design for the lighting and set, featuring a 12-foot high round screen, Glenn and I met many times to choose the images. We were generously granted permission to use a collection of photos by Canada’s renowned astronomy writer and astronomical photographer, Alan Dyer. He and his colleagues at the Calgary Planetarium also offered the use of animated films about Galileo’s writings that they had made as part of a special programme about Galileo for the International Year of Astronomy. Drawing on these resources and the image and video bank of the Hubble Space Telescope, Glenn, Production Assistant Raha Javanfar and I worked at matching images to the meaning of the script and the emotions of the music. Projection Coordinator Ben Chaisson then programmed the images for our unusual round-screen format. Since the first performances of the project, we have been offered use of some stunning photos by Toronto astrophotographer Stuart Heggie and we have included several of them in later shows. The premiere at Rolston Hall in The Banff Centre must have been both nerve-wracking and very rewarding. The opening night was one of the most exhilarating and terrifying I can remember. Playing from memory and remembering the stage movements felt like a real highwire act, but the intimacy and beauty of Rolston Hall allowed us to feel the warm response of the audience. Present that evening were the members of The Banff Centre who had given so much to the show, and a group of astronomers, including James Hesser, the Dominion Observator, and Alan Dyer, whose images we had used. They were quite emotional at seeing their work set in the context of our music, and they gave a real gift to the audience by providing telescopes with which to view the moon in the dark Banff sky as Galileo would have seen it 400 years before. What effect has The Galileo Project had on the orchestra? A project about the wonder of the night sky, which is awe-inspiring for all humans, opens doors between the very specialized, Eurocentric world of our music, and people of other artistic traditions. Astronomy provides a common language which allows us to perform the music which is so important to us in new venues and contexts. The theatrical aspects of the concerts and the memorization process have also allowed us to interact within the orchestra and with the audience in new ways, which is something we would like to build on in future projects.